I see a lot of weekend players shorten their backswing on pitch shots. Seems logical, but when you reduce swing length going back, you compromise your ability to penetrate through the grass going through, especially when the ball is sitting down. Better players typically take a longer backswing on pitches, cutting their follow-through instead. A compact finish promotes a stable clubface and a wide arc (i.e., one that avoids digging into the turf) as you strike the ball. To learn this, stick an alignment rod about two feet past your impact spot and on your target line. 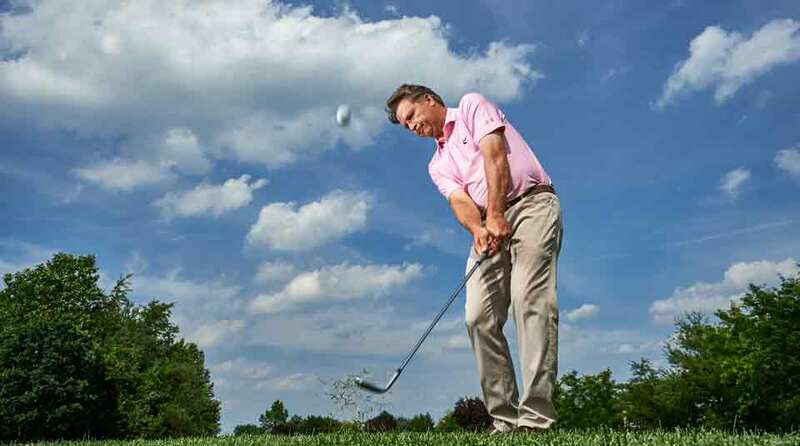 As you practice your pitch shots, focus on stopping your swing before the club hits the rod. Keep your backswing smooth and long, setting the club early so you can release it downward to the ball. Pivot back and through as you make your swing and let the club do the work. Use an alignment rod to reinforce the compact followthrough you need to hit crisp, consistent pitch shots when the ball is sitting down. 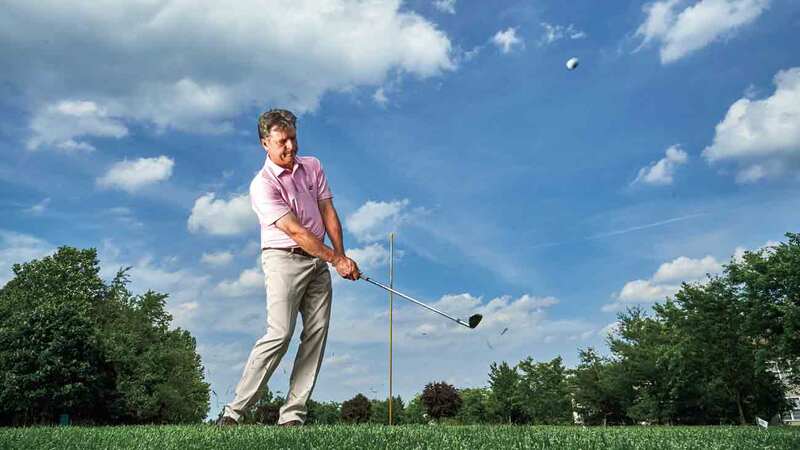 If you can make these moves while still avoiding the rod, you'll get Tour-quality contact — and an easy tap-in putt. Making your follow-through a bit more compact is a great way to ensure solid contact around the greens, especially when the ball is sitting down. Even though you're swinging into a shorter finish, make sure the club realigns with the center of your body after the strike — it helps to keep the club low to the ground past impact (see photo above). Follow these simple keys and you'll soon be pitching like a pro.